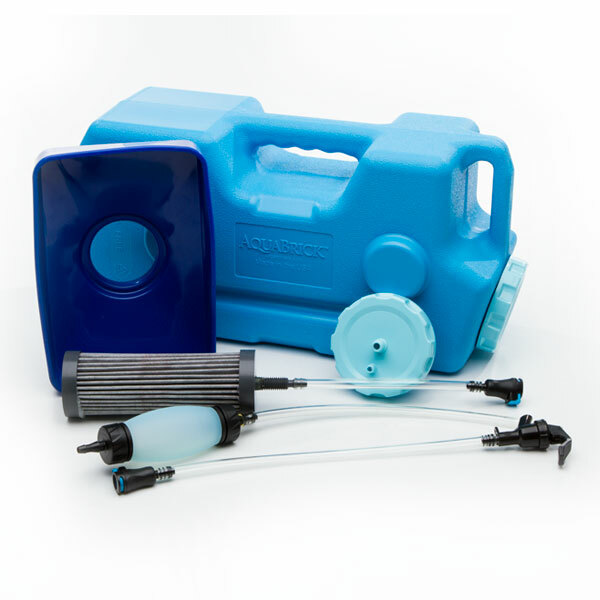 While most water filtration systems on the market only remove certain dangerous elements from your drinking water, the Aquabrick Water Filtration System will remove or deactivate virtually all harmful substances from any non-salt water source. Within a matter of minutes, the Aquabrick water filter will deliver safe drinking water by deactivating harmful bacteria, virus, cysts, such as cryptosporidium and giardia, and removing heavy metals. Using our proprietary filtration method the filter literally deactivates and removes waterborne microbes from even the most contaminated water source. The Aquabrick water filter removes hydrocarbons, fluoride, chlorine and other harmful substances providing clean, purified drinking water for you and your family. The water filter will safely filter out 99.99% of virus for up to 550 gallons; and safely filter out 99.9999% bacteria and 99.99% of giardia and cryptosporidium for up to 700 gallons from highly contaminated water.